Every Wednesday night we provide a free meal. Tell your friends, neighbors, and strangers – ALL are welcome! Sunday, April 14 | 11:45 a.m.–1:30 p.m. Invite your friends to join us after church for a free lunch, activities, egg hunts for kids, and a family kickball game. is May 12, 2019. If you have a student graduating from college, technical school or degree program, please let the church office know by May 1st. You may email the information to office@lenexaumc.org. Camp Scholarship forms are available in the church office. Scholarships to summer camps (Camp Chippewa, Institute, etc.) are available through the Richard W. Lipp Endowment Fund. Application deadline is April 24. April Messenger is now available. EASTER “SONRISE SERVICE” Sunday, April 21 | 7:00 a.m. | Grand Pavilion at Sar-Ko-Par Trails Park Celebrate Easter at sunrise! Our annual SonRise Service is led by the LUMYouth. Sermonettes will be delivered by members of our senior class. Rain will bring us back to the Underground. The application for the LUMC 2019 Post-Secondary Undergraduate Scholarship is due April 15. If you are a member of LUMC, have at least a 2.5 GPA or a GED, have been accepted to an accredited institution and will be a full-time student, you are eligible. In addition to the application, you will need to write a 300–500 word essay on your post-secondary plans and provide two letters of recommendation and an official school transcript. Contact the church office for an application. Don’t miss this opportunity! Deadline to apply is April 15.
: Our Lenten journey has taken us to many places along the way to Jerusalem. 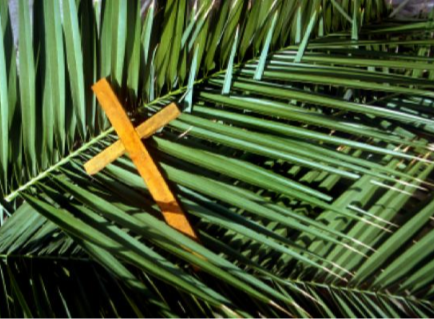 Today Jesus enters that great city to shouts of “Hosanna! !” It is a day filled with jubilation, as this “King,” who comes in the name of the Lord, is welcomed with honor. It is not long, however before the tide turns and he finds himself in the middle of an angry crowd, on the receiving end of taunts and jeers. Those who welcome him fail to understand his mission among them. How often have we failed to understand Christ’s purpose for our lives. Is this really the King we want?